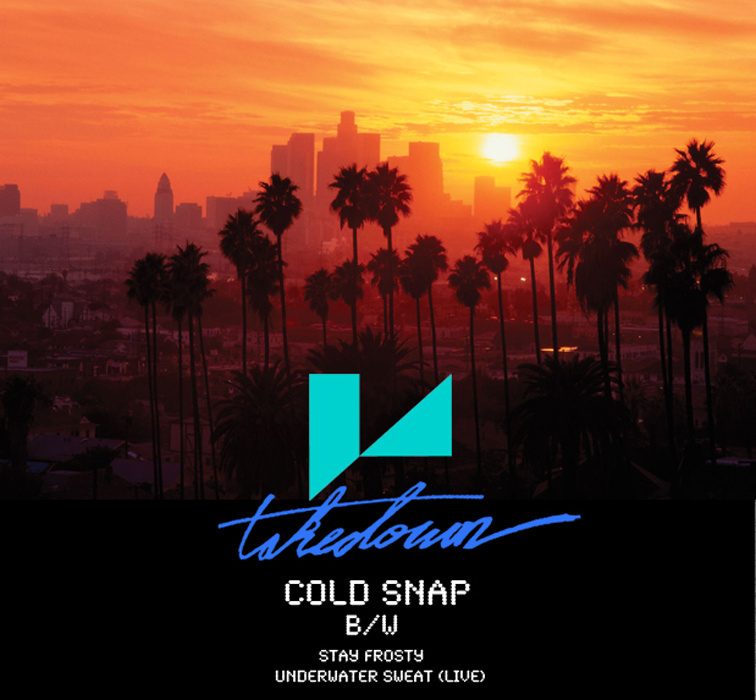 L.A. TAKEDOWN — COLD SNAP – IS YOUR CLAM IN A JAM? L.A. Takedown are a collective from.. you guessed it, L.A. They play laid back 80s inspired synth pop with a groove that’s hard to stay still to. Their first single, Cold Snap has just been released on bandcamp and it’s a snippet of their debut album, Top Down, (Heather On) to be released on Burger Records at the end of summer. Cold Snap is a light shining on your bedroom floor through ruffled sheets on a warm summer night, casting the reflection of you and your lover on the window next to you. A cigarette is lit and the current slowly starts creating a smoke cloud formation below your ceiling. You look outside and see a dimly lit window in the building in front of you, where a couple lays in bed next to ruffled sheets, smoking. As your mind starts wandering, you’re dragged back into bed, snatched from reality with a Cold Snap. Check out the video for Cold Snap below and go get the single HERE.